The fact that this major spill comes from Nexen’s pipe, running from the Long Lake plant, is very notable. The process used in this plant was developed in Israel by a company called Ormat, who carried out oil shale research & development with this technology in the Niqab/Negev desert until the Israeli government (under Ariel Sharon) refused to subsidize production. One of the largest operations for the production of tar sands crude in Alberta is the Long Lake Project. This massive facility, a steam-assisted gravity drainage (SAGD) operation, is the only major production plant that also operates an on-site upgrader, where the tar-like bitumen is diluted and transformed into a mock crude before further shipping to a refinery built by design to handle tar sands oil. From a flyover of the then Opti-Nexen Long Lake North plant in 2008. The plant has doubled in size and multiple times over in production since. It was then already the largest in-situ operation in Canada’s tar sands. What is truly shocking about this operation? Several things. First, the operation openly boasts about the process it uses that makes it by far the dirtiest plant in operation. Climate-changing greenhouse gases are already produced in tar sands extraction at a rate three to four times higher than conventional oil. In the Long Lake Project it may as much as triple again. The reason is something that Nexen brags about: a “recycling” operation they dub “cogeneration,” in which they burn off the waste (which they have named “Asphaltene”) produced by the extraction process to power the plant and the upgrader. Burning this leftover gunk is the tar sands equivalent to a proposal many cities have seen to burn off their garbage to produce electricity. The level of pollution with climate-changing properties from this process are truly staggering. The Canadian government has no such qualms as the Israeli when it comes to subsidizing destructive dirty oil projects and Ormat parented a Canadian company, Opti, with Ormat as a large investor until the sale of Opti (and later, Nexen) to Chinese interests. As such, the technology for the plant traveled with the title deed from Israeli through Canadian to Chinese National Offshore Oil Company (CNOOC) control. Just prior to Nexen being bought by CNOOC, the then-still Canadian company garnered the license for the development of the area previously known as “Long Lake South,” effectively doubling the potential size of the scar on the area south of McMurray being discussed here. Quite notable as well is the prior to the sale to China’s CNOOC, Nexen was a full-fledged member of the Canadian Boreal Initiative’s “Boreal Leadership Council” that created the Boreal Forest Conservation Framework. This greenwashing initiative was brought about through the kind work of the CBI, spawned as a mere project of Ducks Unlimited with money primarily emanating from the same Pew Charitable Trusts whose financial and family ties to Sunoco (the company that founded and then sold off Suncor, Canada’s largest energy company and the original tar sands corporation) has brought them special attention before. Other (still current) members of the framework and council include: the aforementioned Suncor, Tembec, Goldcorp, NEI Investments, The Nature Conservancy, CPAWS, the Pembina Institute and TD Bank (among others). Now driving the corporate bus in Canada (as well as the US) is the International Boreal Conservation Campaign (IBCC), which is essentially the Pew’s direct front group involved in an office in Ottawa. 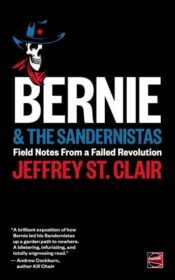 These organizations do not exist as a response to grassroots swell, but in defiance of it. And the corporations they partner with, such as Nexen prior or Suncor today, gain a social license from that partnership. In the case of the Long Lake plant, we have a company that is now using what was originally Israeli technology to decimate the climate faster than ever before, and having a partnership in a “conservation” operation as a “partner” and “stakeholder” has made what should be rightly seen as perhaps the dirtiest of all the dirty tar sand operations on indigenous territory, given a veneer of legitimacy only greenwashing can bestow. In fact, it is a plant that also has come into conflict with the community of Fort McMurray itself. 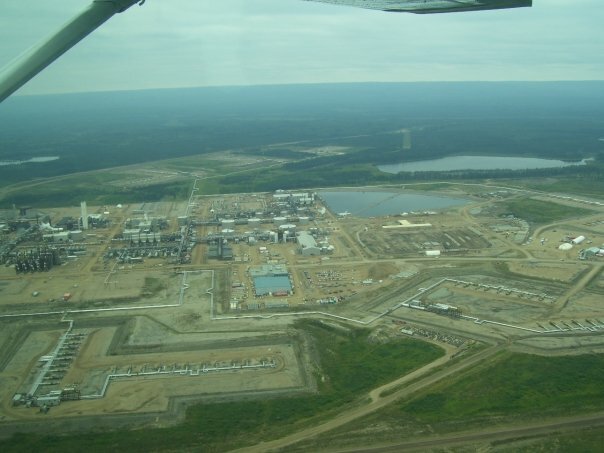 Prior to either sale to CNOOC or construction of the doubling in size (Long Lake South was approved in 2009), Nexen broke pledges made to never draw waters from the Clearwater River (A “Canadian Heritage” River that runs through Fort Muck and converges with the Athabasca River within the city, all downstream of Long Lake). The programs of “leadership” provided now include leading the way in river destruction (Clearwater), land destruction (largest physical footprint of a Sag-D plant), climate and atmosphere destruction (largest footprint of any org), biggest greenwash (“cogeneration”) and to that list one can now add perhaps the largest pipeline spill in Canada’s history. The question should be begged: What of the peddling of soft imagery that has come through the aegis of the financing and partnership of unelected, unaccountable foundation “partners” such as the Nature Conservancy, Canadian Boreal Initiative before and International Boreal Conservation Campaign now, and CPAWS aligned with banks, mining companies and Suncor? Every day the operation exists is a day that some of the largest environmental disasters happen as a result of the Nexen-led Long Lake plant(s). The oil spill from a pipeline is the current largest disaster in the headlines, as well it should be. But this plant– for many years– has been one of the largest disasters on going, belching into the air and sucking away at the water, no matter how “legally” it has been operational. In point of fact, were the pipeline rupture to mean the shut down of the plant for a significant period of time the damage may be “offset”. Such an outcome would have a perverse sense of irony, given that so many “offset” schemes, from “boreal offsets” to “terrestrial offsets” and just plain ol’ carbon offsets have been pushed by those who were partners of Nexen an are still partners with Suncor, et al– while Nexen was still constructing, still getting permits from Alberta and joint photo ops from fake, well funded and anti-democratic “environmentalists” and their funders. Without “environmentalist” help, Nexen may have lost the needed social capital long ago. The crime that is Long Lake started years ago. The rupture of the pipeline is nothing compared to the rupture with the land and the atmosphere that is the Nexen operation itself.